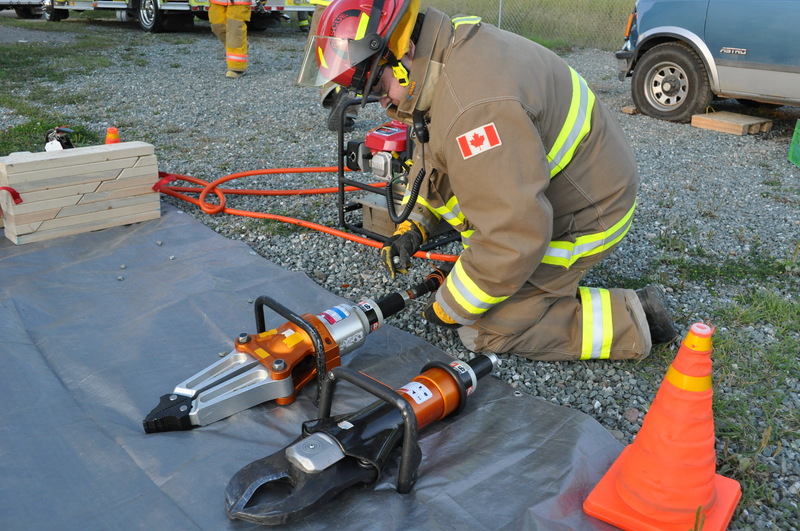 Hydraulic rescue tools are used by emergency rescue personnel to assist vehicle extrication of crash victims, as well as other rescues from small spaces. These tools include cutters, spreaders, door busters and rams. They are popularly referred to in the English speaking Commonwealth nations and the US as the Jaws of Life, a trademark of Hurst Performance, Inc. 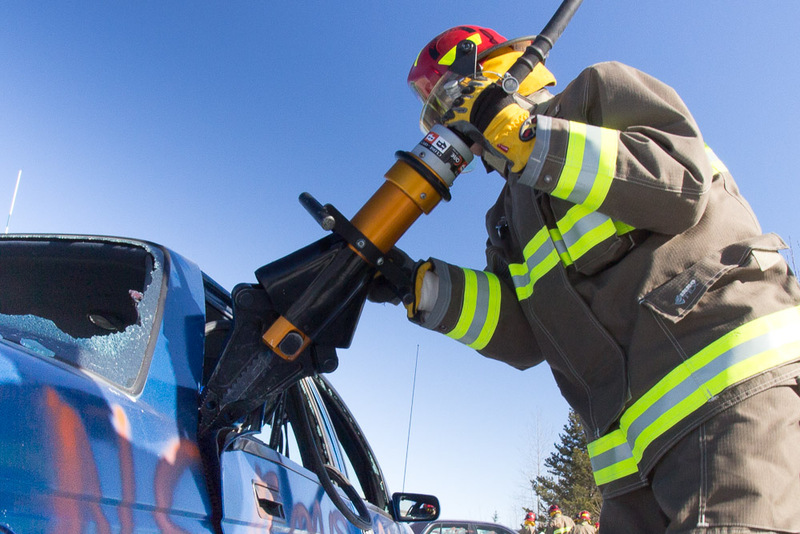 The Jaws of Life were first used in 1963 as a tool to free race car drivers from their vehicles after accidents. 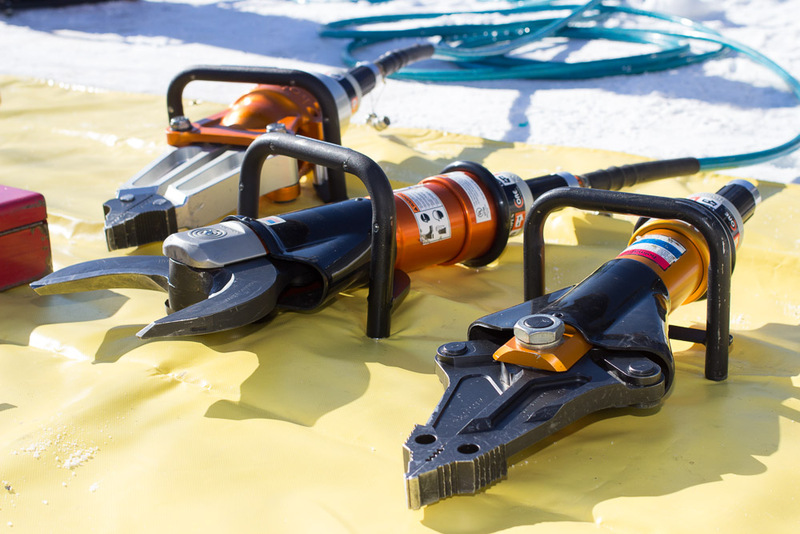 Hydraulic rescue tools are powered by a hydraulic pump, which can be hand-, foot-, or engine-powered, or even built into the tool. These tools may be either single-acting, where hydraulic pressure will only move the cylinder in one direction, and the return to starting position is accomplished using a pressure-relief valve and spring setup, or dual-acting, in which hydraulic pressure is used to both open and close the hydraulic cylinder. A spreader is a hydraulic tool designed with two arms which come together in a narrow tip, and which uses hydraulic pressure to separate or spread the arms. 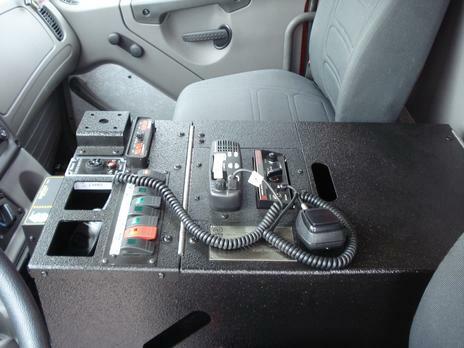 The tip of the tool can be inserted into a narrow gap between two vehicle panels (such as between two doors, or between a door and a fender) — when the tool is operated, the arms are opened, pushing apart the metal in the panels. 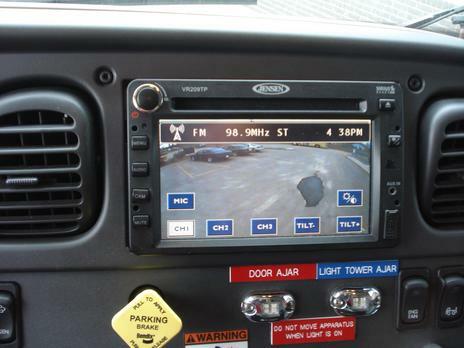 Spreaders may also be used to “pop” vehicle doors from their hinges. The cutter is a hydraulic tool which is designed to cut through metal—a pair of hydraulically powered shears. 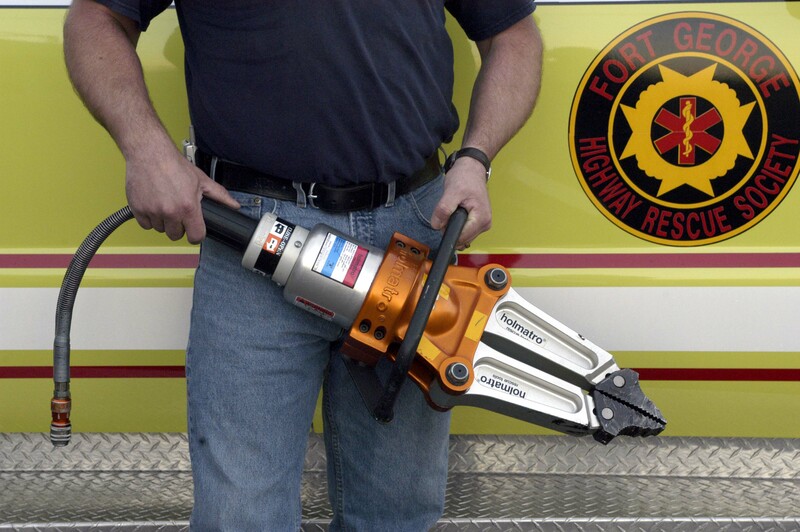 It is often called the jaws of life, owing to the shape and configuration of its blades. Sometimes specified as to its capacity to cut a solid circular steel bar, these are most commonly used to cut through a vehicle’s structure in an extraction operation. 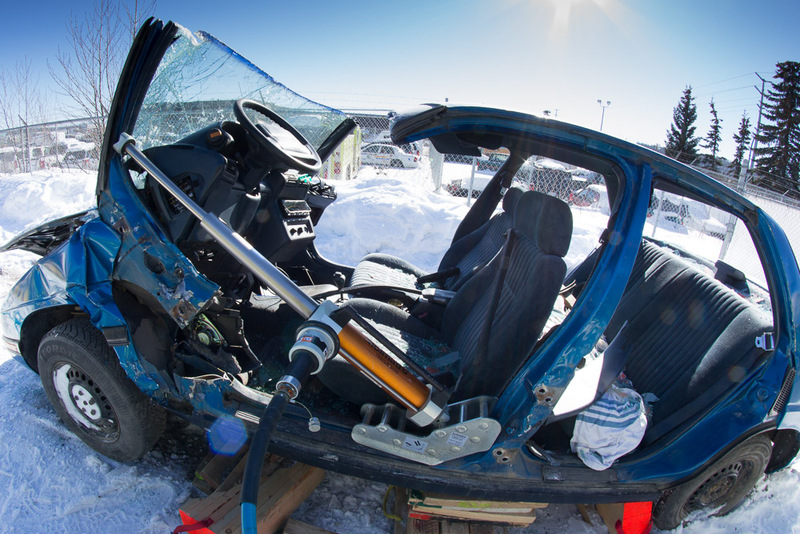 Cutter blades are replaceable, and blade development progresses as vehicle technology progresses in order to be able to cope with the new car protection technology. 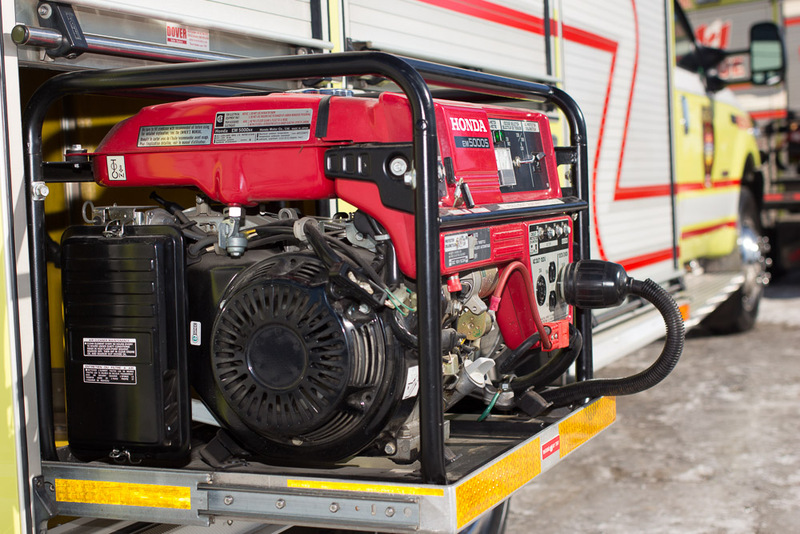 At PGRHR we use a portable generator to power our hydraulic rescue tools (cutters, spreaders, cutter-spreaders, rams and air bags). We did lots of research before purchasing our Honda 5000. It has a long run-time, up to 11.5 hours! We also enjoy that it isn’t as loud as some other generators. Being that it’s quieter, we can better hear those trapped, as well as not create any more distress in the environment than is necessary. Rams are used far less than spreader-cutters in auto rescues; nonetheless, they serve an important purpose. There are many types and sizes, including single-piston, dual-piston and telescopic rams. Sizes commonly vary from 50.80 cm (20″) to 178 cm (70″) (extended). Rams use more hydraulic fluid during operation than spreader-cutters, so it is essential that the pump being used has enough capacity to allow the ram to reach full extension. Air bags are used by rescuers to lift heavy objects up to help victims who are trapped under those objects. There are three main types of lifting bags for rescue, high pressure, medium pressure and low pressure systems. Low-pressure bags are operated at 7.25 psi for high vertical lift in a large surface area but lower lifting capacities. Medium-pressure bags are operated at 15 psi. High-pressure bags which have higher lifting capacities are operated at pressure between 90 and 145 psi. Two air bags can be stacked together to provide a higher lift. It is recommended that no more than two bags can be used in a stacked configuration, the bigger bag must be the bottom one, and no other objects are inserted between the stacked bags. Incorrect use of stacked bags may result in a bag (or other objects) shooting out to create a dangerous projectile. Whilst a cutter or spreader tool is designed for a particular application, a combination tool, or combi-tool as popularly referred to by the fire department, is also available which combines the cutting and spreading functions of separate tools into a single tool. In operation, the tips of the spreader-cutter’s blades are wedged into a seam or gap — for example, around a vehicle door — and the device engaged. The hydraulic pump, attached to the tool or as a separate unit, powers a piston that pushes the blades apart with great force and spreads the seam. Once the seam has been spread, the now-open blades can be repositioned around the metal. The device is engaged in reverse and the blades close, cutting through metal. 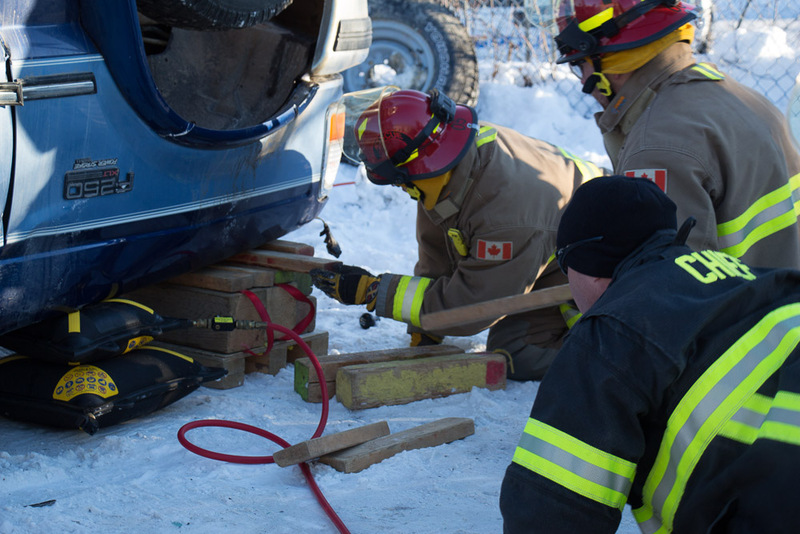 Repeating this process allows a rescuer to quickly open a gap wide enough to pull free a trapped victim. The blades can spread or cut with a force of several tons or kilonewtons with the tips of the blades spreading up to a metre. This operation can also be performed by dedicated spreading and cutting tools, which are designed especially for their own operations and may be required for some rescues. Spreader-cutters sometimes have lower capabilities when compared to the dedicated tool (e.g. 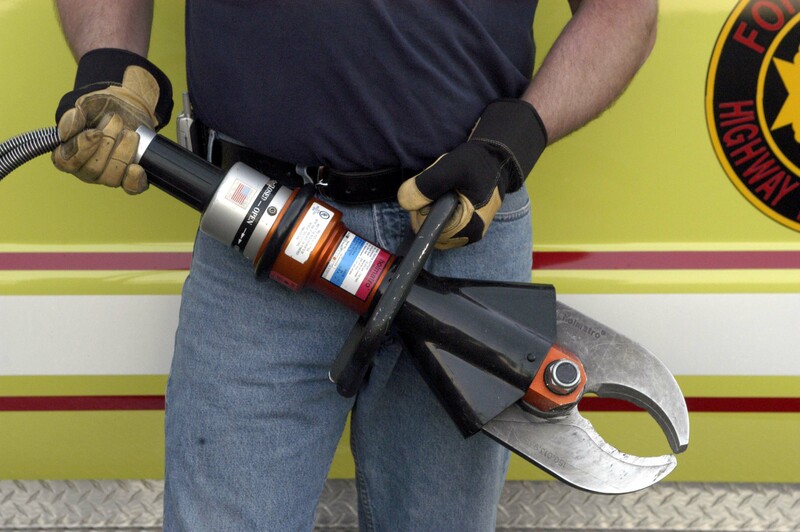 a smaller spreading range) but may be useful where space is at a premium on fire and rescue vehicles, or when the budget does not allow for a separate cutter and spreader tool. Many manufacturers utilize the body of their dedicated cutting tool for the combination tool. Specially engineered combination blades that are designed to spread and cut are used on the cutter body. If the end user decides later to add a separate cutter and spreader, the blades of the combination tool can be changed to make it a cutter only.